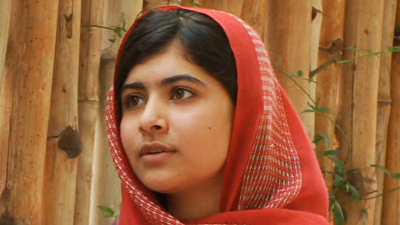 New Delhi:(Page3 News Network,via newsonair)Nine people have been arrested in connection with the shooting of Malala Yousufzai, the teenage activist who spoke out against the Taliban, though the main suspect remained at large, Pakistani police said today. Police identified Atta Ullah Khan, a 23-year-old man from the Swat district where Malala was attacked, as the primary suspect. Police said they were searching for Khan. In addition to arresting six men, all of them from Swat, police have arrested Khan's mother, brother and fiancee, but the suspect's relatives were not accused of involvement, a senior police official told international media. The official did not say what role Khan may have played.